February 17, 2010 - In a letter to Delta pilots on Saturday, Captain Lee Moak, chairman of the Delta branch of the Air Line Pilots Association, the union that represents over 12,000 Delta pilots, criticized last week’s decision by the U.S. Department of Transportation (DOT) which places “onerous and likely deal-breaking conditions” on a proposal by Delta and US Airways to exchange takeoff and landing “slots” in New York and Washington, DC. He characterized the decision as anti-labor, anti-consumer, anti-business and an aggressive intrusion of government into an already overregulated industry. 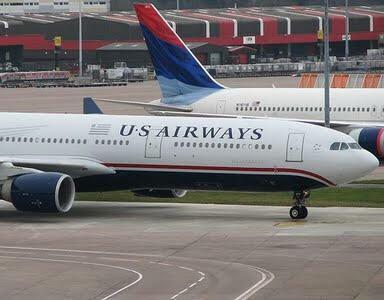 Under the terms of the joint petition Delta would have transferred 42 pairs of slots to US Airways at Ronald Reagan Washington National along with international route authority to Sao Paulo and Tokyo. In exchange, US Airways would have transferred 125 pairs of slots at New York’s LaGuardia airport to Delta and leased another 15 pairs with the option to purchase. The joint Delta/US Airways proposal would have allowed both carriers to capitalize on their network strengths allowing the airlines to maintain existing air service and also add new nonstop service between two of America’s top business markets and small and medium-sized communities across the United States.